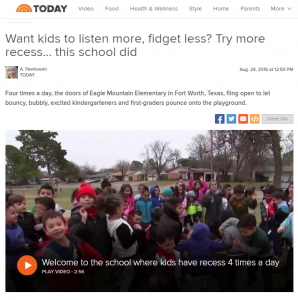 Sante KildareBlogExercisesKids need real exercise! Last year my children told me that their class had new furniture. I did not understand. 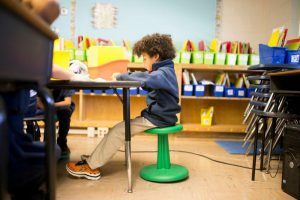 When I went for parent-teacher interviews, I fell out of my seat – literally and figuratively! What’s up with the wobble chair? Now I understand that kids fidget and squirm during class. Adults do the same during long meetings as well. 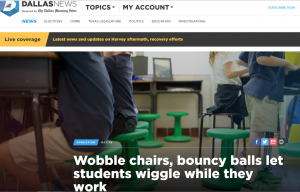 I also know that there is scant research that kids with ADHD can benefit from wobble chairs – but we should not treat an entire class as if they have a hyperactivity disorder. 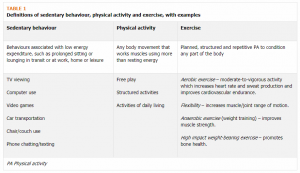 The vast majority of children don’t have a medical disorder – they simply lack sufficient physical activity. 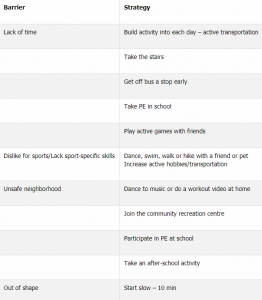 The Canadian Physical Activity Guidelines recommend a MINIMUM of 60 minutes of moderate-vigorous intensity aerobic exercise daily. Aerobic exercise means activity that increases heart rate and sweat production. 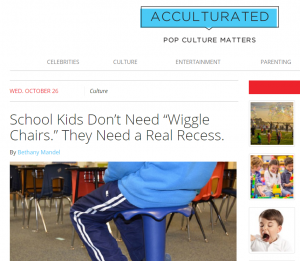 It is doubtful that teachers will encourage kids to reach aerobic levels on the wobble chairs. 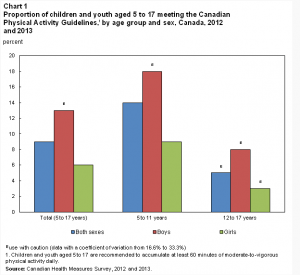 The proportion of children and youth aged 5 to 17 meeting physical activity guidelines are shocking: According to Statistics Canada, only 13% of boys and 6% of girls are getting an average of at least 60 minutes of moderate-to-vigorous physical activity daily. 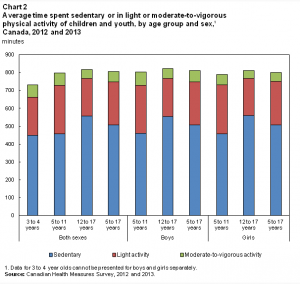 On average, kids are sedentary 700 + minutes (over 11 hours) each day. What are the barriers and solutions? Simply – not the wobble chair!